Trinity is a fast, stable and reliable desktop environment, designed to run on Unix-like operating systems. 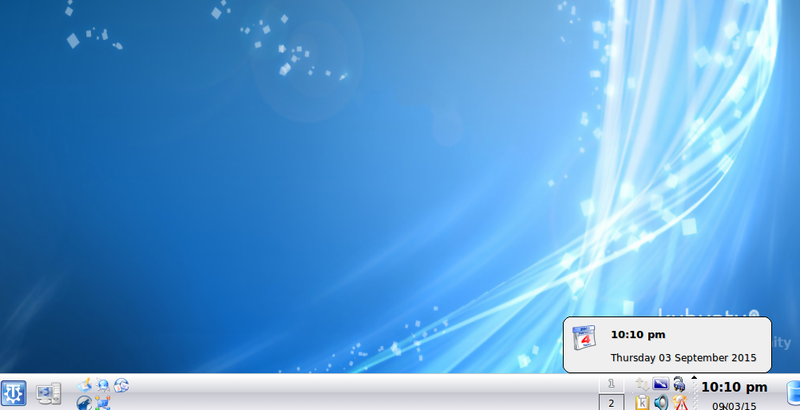 The main goal of this desktop environment is to retain the computing style, look and feel of KDE 3.5 desktop. It is basically inspired from KDE, but is an independent fork of KDE 3.5. The most recent version of this desktop environment “Trinity Desktop Environment R14.0.1″ is out now. 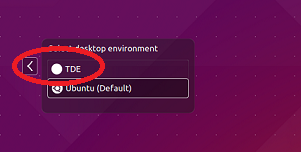 It is a beta/testing release, let’s see how we can install it on Ubuntu Linux 15.04 operating system. Disclaimer: This is a beta release of the desktop system, it is high recommended to NOT install it on production systems as it might have unknown bugs that can lead to unbootable system. First of all launch your system terminal and run following command to edit APT package manager sources file in Gedit Text Editor. Now append the following lines to this file and save it. Run following command to add its GPG signing key. Run following command to update your package manager respositories. 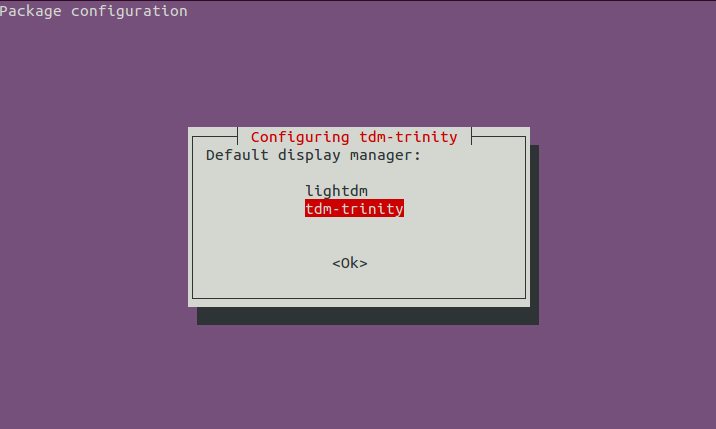 There we go, our Ubuntu 15.04 system is all set to run Trinity, run following command to install it. 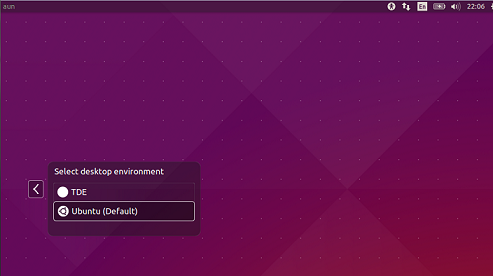 During the installation process, it will launch a pop up to configure it, click “Ok” from here. 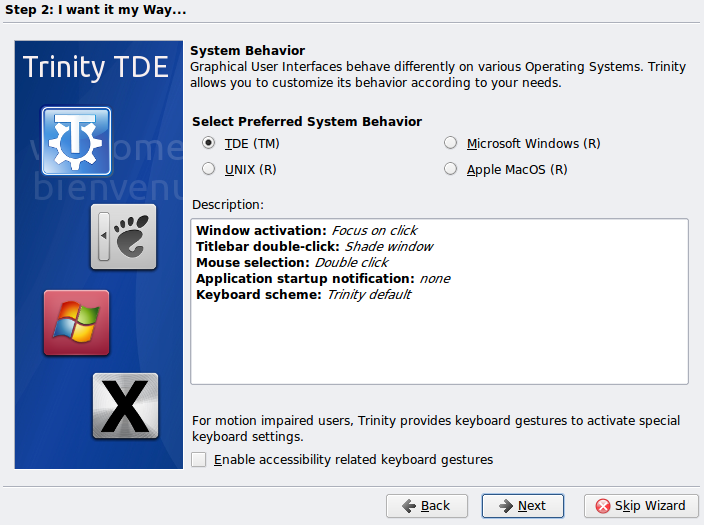 Choose the default Desktop Environment for your system, you can set Trinity as the default choice here. Once the installation process is over, reboot your system and login using Trinity (in case you haven’t set it as default, then you need to choose it from Logon screen). It will launch Trinity’s configure wizard on the very first time load. Choose your language and country on the first step, click “Next” to proceed further. You can customize your system behavior from this step. That’s it, here is your Trinity desktop environment. Trinity has achieved good user base and popularity over the passage of time. It is being liked by KDE fans as it offers a complete desktop environment with pleasing look and feel. Try it out today, hope you will start enjoying it.